A judge upheld the result of a Miami referendum authorizing the city to negotiate a lease for a stadium where David Beckham’s Major League Soccer team would play. The ruling by Miami-Dade Circuit Judge Mavel Ruiz preserved the outcome of the referendum in November, when 60 percent of Miami voters authorized the negotiation of a 99-year lease for the development of a stadium and commercial complex. A 25,000-seat stadium and a hotel, office park and commercial campus would be built at a cost of $1 billion on the city-owned Melreese golf course, which spans 73 acres. Beckham’s MLS team, Club Internacional de Futbol (Inter Miami) also would build a public park on an adjacent site. The referendum result also would allow the city to amend its charter to waive competitive bidding to lease the Melreese golf course. Bruce Matheson, descendant of a pioneering Miami family, filed a lawsuit against the city to invalidate the referendum before the November vote, contending the ballot question lacked adequate details, partly because a lease had not been negotiated. Matheson told the Miami Herald that he will appeal the judge’s ruling. Miami city commissioners recently set a Sept. 12 deadline to reach a lease agreement for the planned stadium and commercial complex, which would be called Miami Freedom Park. 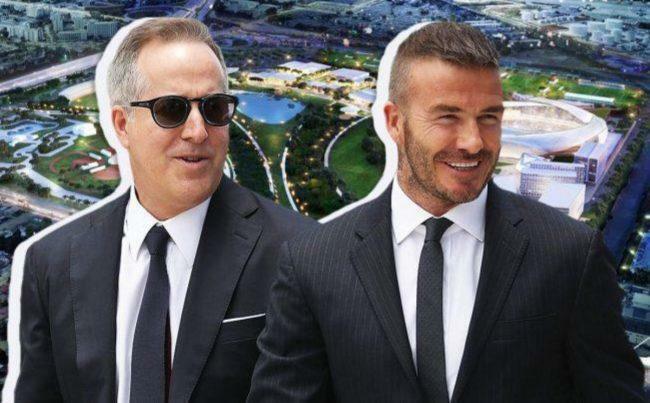 Led locally by MasTec chairman Jorge Mas, the Beckham group also is pursuing another project in Fort Lauderdale, where the owners would spend more than $60 million to redevelop now-closed Lockhart Stadium. Inter Miami would play its first two seasons at Lockhart Stadium while a stadium is built in Miami. After the team’s second season, Lockhart Stadium would serve solely as an 18,000-seat exhibition and training facility.